Braces aren’t just for kids anymore. In fact, one in five orthodontic patients are over 21. 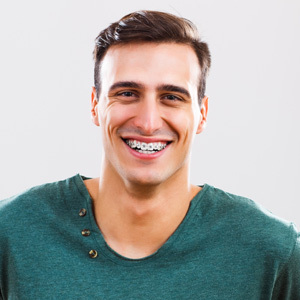 With the invention of more discreet orthodontic appliances such as clear braces and aligners, adults feel comfortable stepping out in public during all phases of treatment. A new smile can begin today! Orthodontic treatment at later stages in life can dramatically improve your personal appearance and self-esteem. Improving the health of your teeth and gums are equally important. Crooked teeth and a bad bite can contribute to gum and bone loss, tooth decay, abnormal wear of the tooth enamel and surfaces, headaches and jaw joint (TMJ/TMD) pain.